We were closed until January 7th and then it was, “honeymoon over, back to reality”! 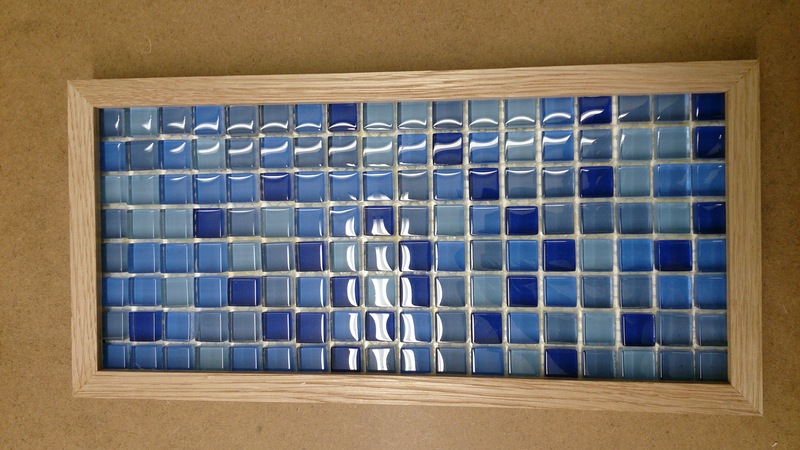 A flow of interesting items to get us busy and one in particular is this small mosaic of tiles. Our customer is going to use the finished work to hang/cover over a vacant switchplate hole in the bathroom.